Design and manufacturers of made to measure handmade sofas in Oxford, and serving the surrounding areas. Using only the finest materials, they can build specifically to your needs with regards to design, dimensions and finish. They also manufacture bespoke armchairs and corner sofas. UK (High Wycombe) based company offering custom-made bespoke sofas. 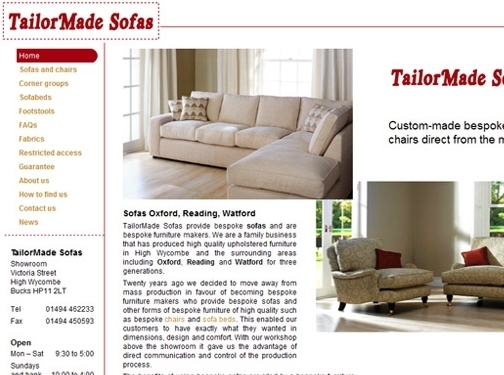 Website lists details, photos and prices of their varieties of sofas, FAQ, news section and full company contact details (located on left-hand column).